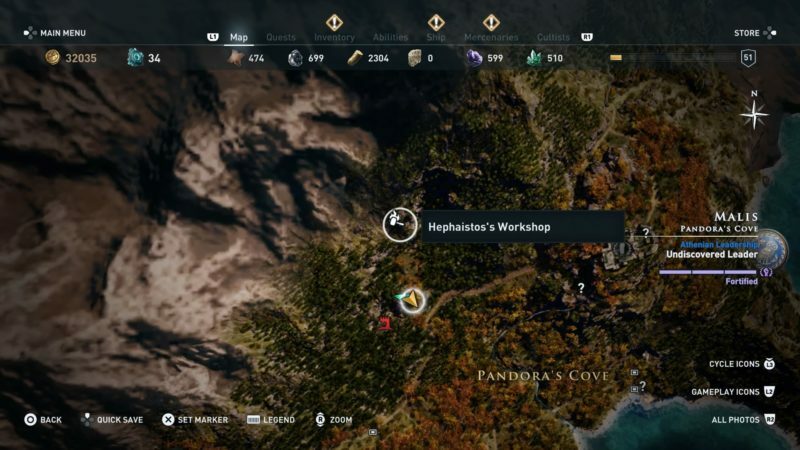 Hephaistos’ Workshop is a new place introduced in Assassin’s Creed Odyssey some days ago. It’s not the same as the usual workshops as you can actually learn higher tiers of skills to engrave on your equipment. 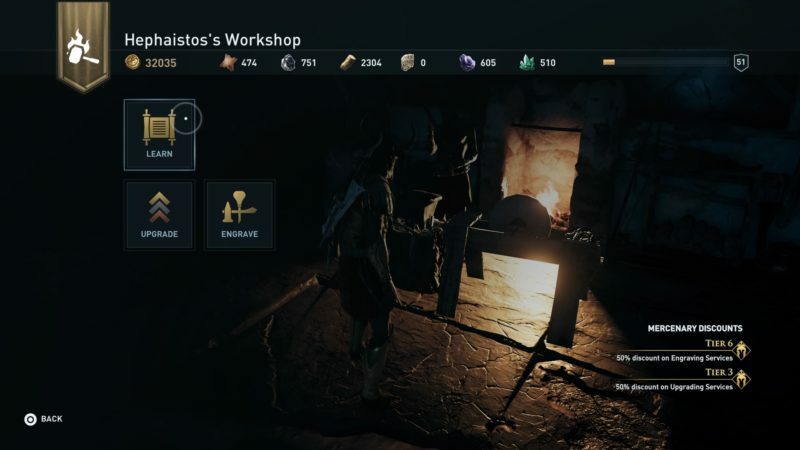 Here’s how you can find Hephaistos’ Workshop and what you can do with it. The workshop is located on Malis, more specifically on Pandora’s Cove. It’s pretty high up north on the map. Exact location of the workshop is shown in the map below. However, it’s not visible at first sight. 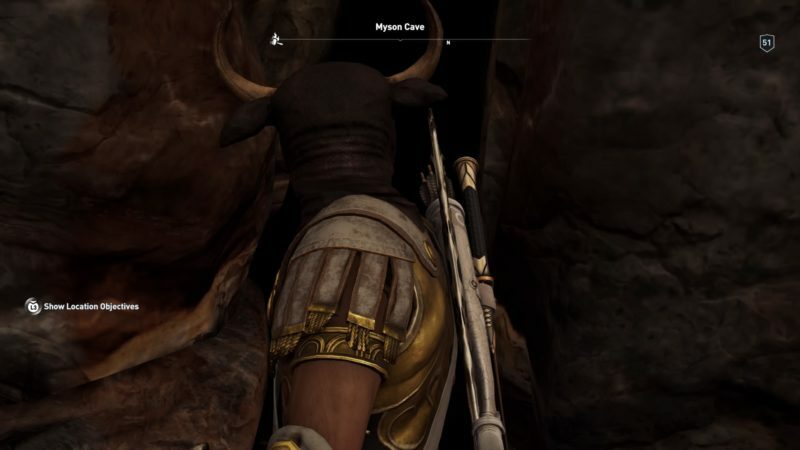 You need to enter a cave called Myson Cave. You should see a small opening at the bottom of the mountain / hill. Walk inside the cave by going through the narrow gap. 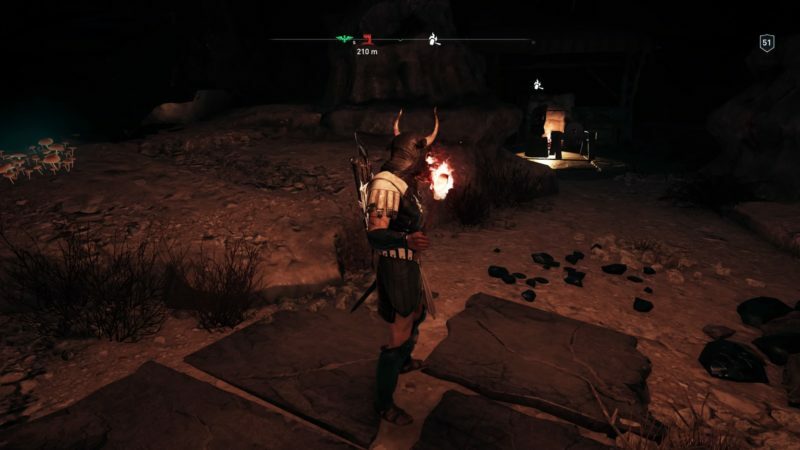 You will then find the blacksmith here. It’s rather dark inside so you’ll probably need to use a torch. There are three features here, i.e. to learn, upgrade and engrave. The upgrading and engraving part is probably the same as the others, but this is the only workshop where you can learn higher tier skills. 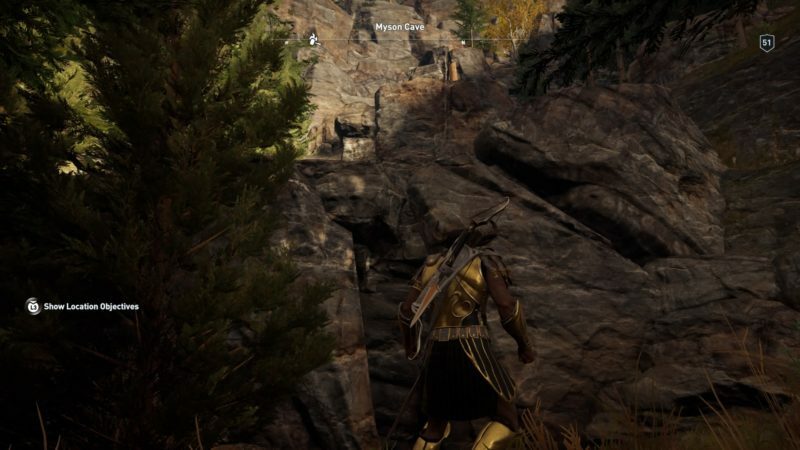 As you can see below, you need to pay a high amount of drachmae (30,000) just to learn one skill. My current tier was “+12% damage with swords” and you can learn the next which is “+18 damage with swords”. That’s pretty much it for this workshop, but it’s quite helpful if you have the money to upgrade tiers. Hopefully you’ll be able to find the location after this. That’s it? 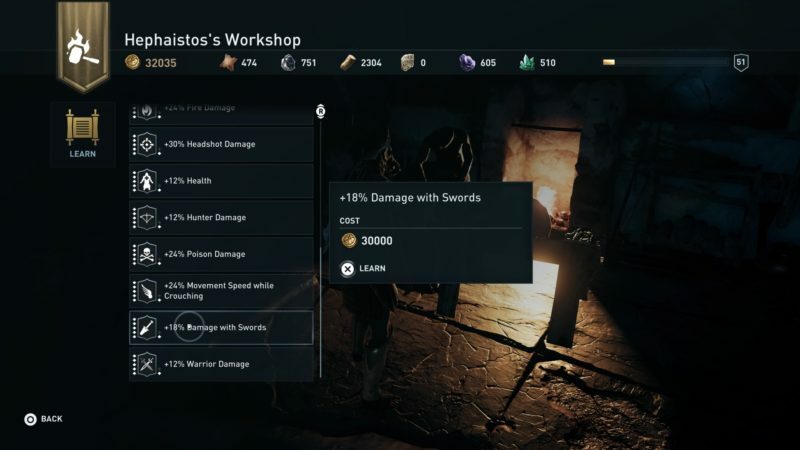 30,000 drachmae for 12-18% increased damage doesn’t seem worth it. I feel like there should be more to it than that! ?